One of the greatest opportunities for creating jobs for both skilled and unskilled labor, gumboots to crocodile skin shoe-wearing workers, blue collar to white collar, exists in the manufacturing industries. At independence, Zambia had nothing, Southern Rhodesia had everything. 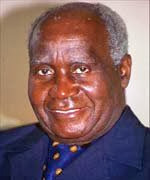 Zambia was moving towards a more diversified economy during Dr Kaunda’s presidency than now when we are importing carrots and potato chips. Admittedly, poor management practice and government meddling amongst other reasons resulted in these organizations becoming unprofitable. The formal sector has shrunk so much that the viable tax base cannot sustain the national budget. Many people are now in the informal sector and it is not easy to collect tax in this area. It is clear therefore that we need to grow the formal employment sector. One of the things we need to seriously consider is to empower individuals in the same informal sector. For example, I think we should move the industrious people making furniture by the roadside in our cities, provide capital and help them establish proper factories with them as major shareholders. Government, perhaps through the Zambia Development Agency, would initially provide management expertise, training and ensure quality improvement and consistency. Management would be continuously scrutinized to prevent corruption and uphold worker participation in decision-making. Over a period of time, these shareholders can take full control of their operations and payback whatever resources provided during start-up. There is a huge market for these people in our major stores currently flooded with imported furniture. Similarly, rather than giving unproductive loans to individual marketeers, let us have a pilot program where our women vegetable marketeers are as a group of shareholders, like the above furniture manufacturers, helped to establish Vegetable Supermarkets. In the end, some of them would become purchasing managers sourcing produce from farmers. They would be trained in various professions like accountancy, human resources, logistics, etc. They might in the future even expand their operations where they have subsidiary companies growing their own produce, processing it and perhaps, even exporting! This could be done for our people in various trades such as those who make steel gates, door frames and window frames. This moves them from the informal to formal sector and thus make a positive effect on the country’s GDP and tax base.